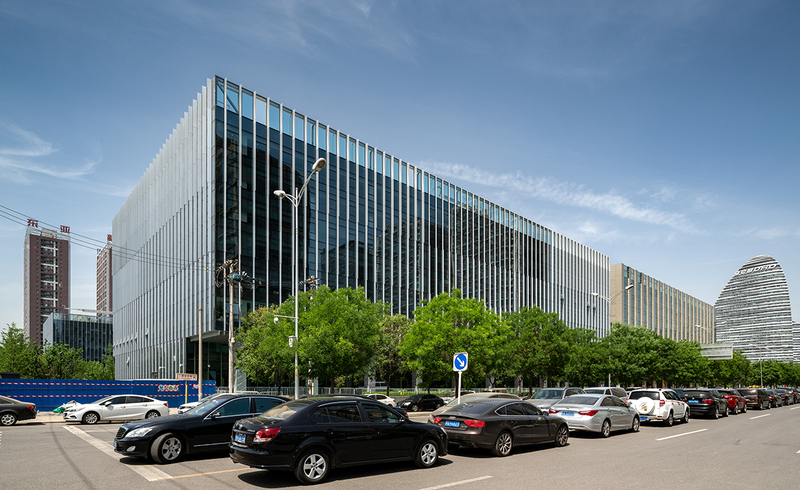 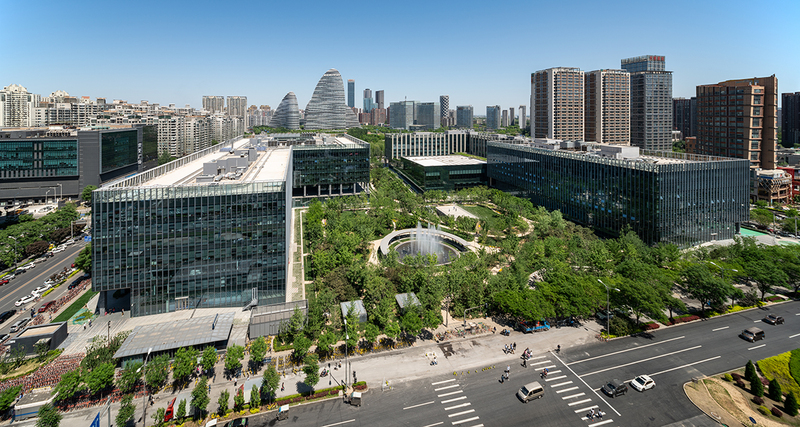 Wangjing is a district near Beijing Airport, for which we were tasked with the development of a new complex. 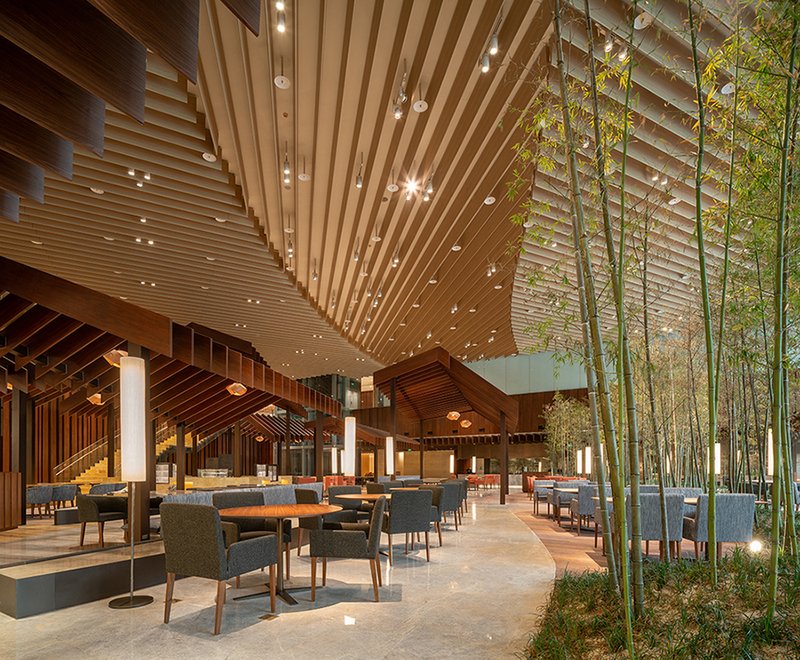 We took a hint from the style of Sanheyuan, a traditional Chinese house with a courtyard open to one side. 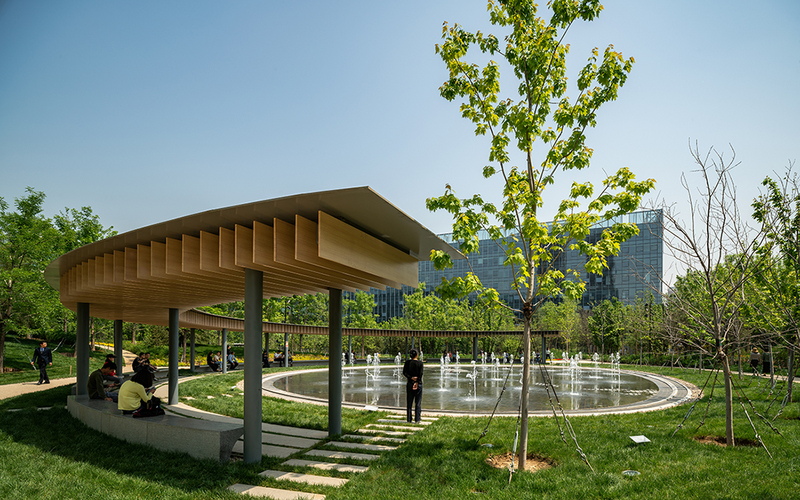 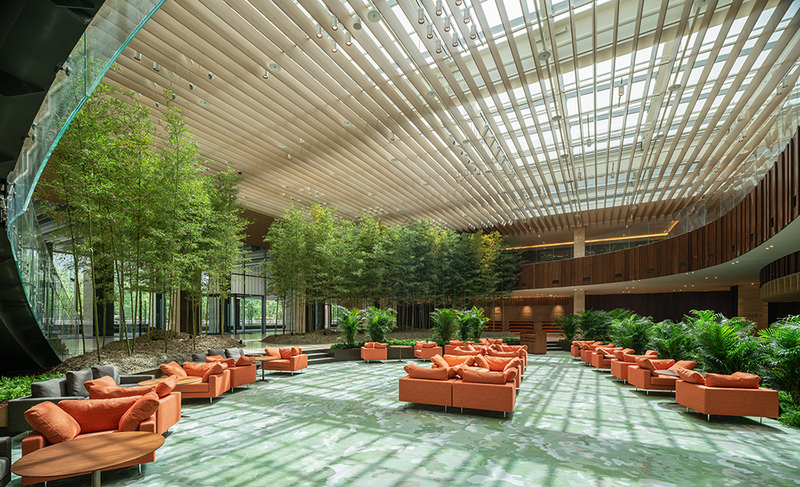 We arranged the hotel and the office buildings in the shape of C and named the inner courtyard “Urban Forest” creating an open oasis for the public in Beijing, where green space is not prevalent. 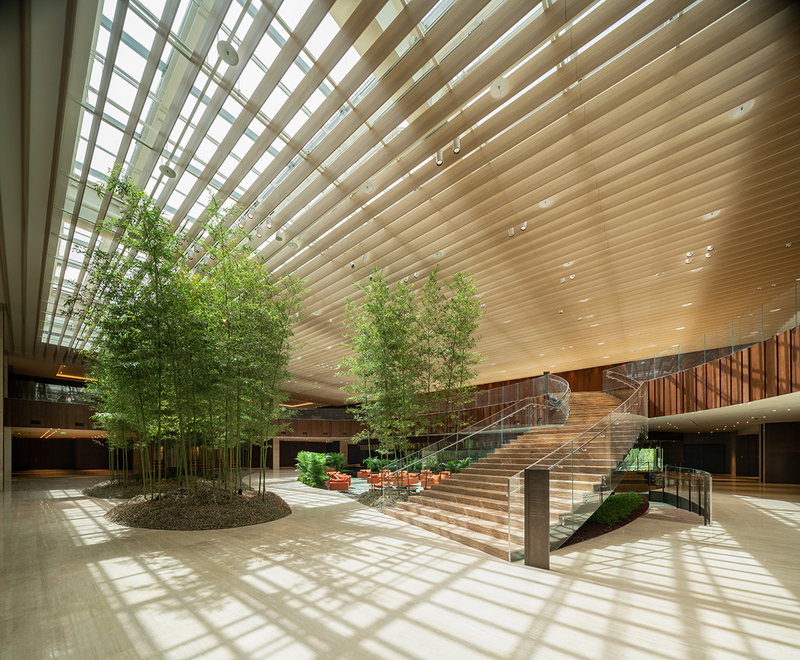 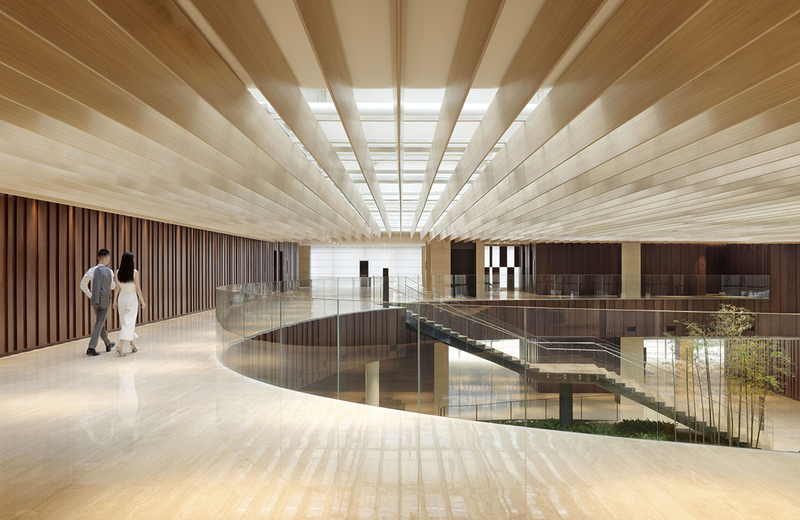 Within the hotel (Hyatt Regency Beijing Wangjing), which is also based on Sanheuyuan, we planted bamboo in the open-air atrium at the heart, surrounded by the rooms of different programs. 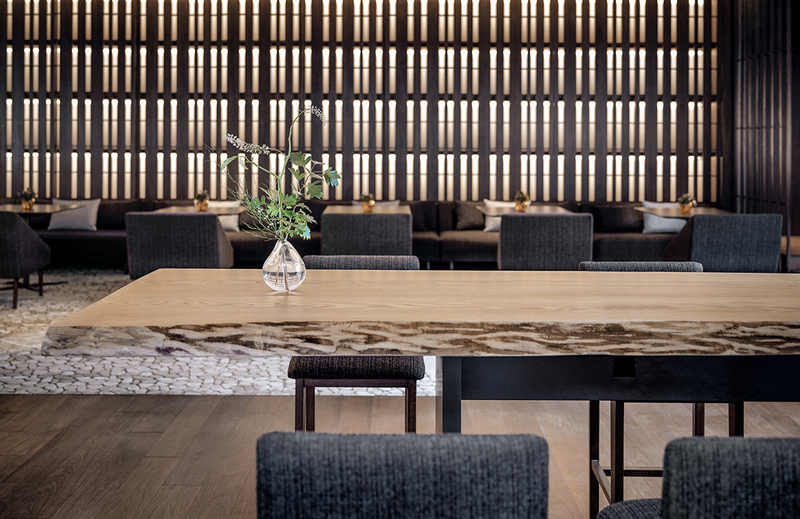 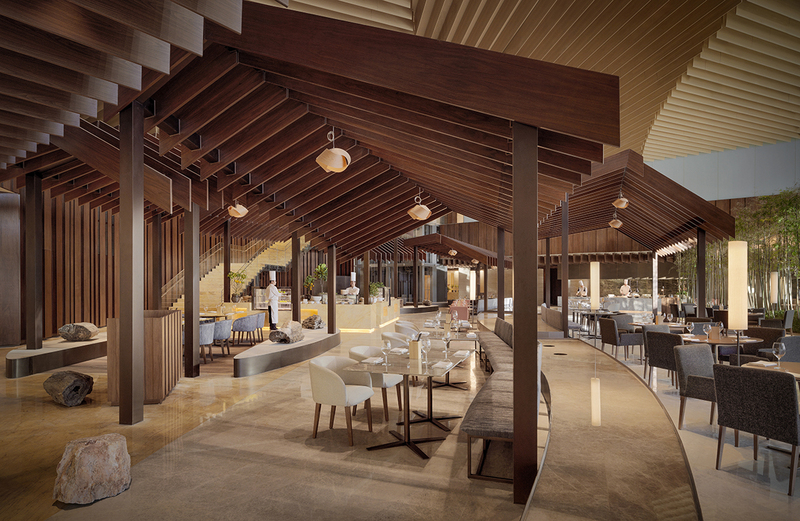 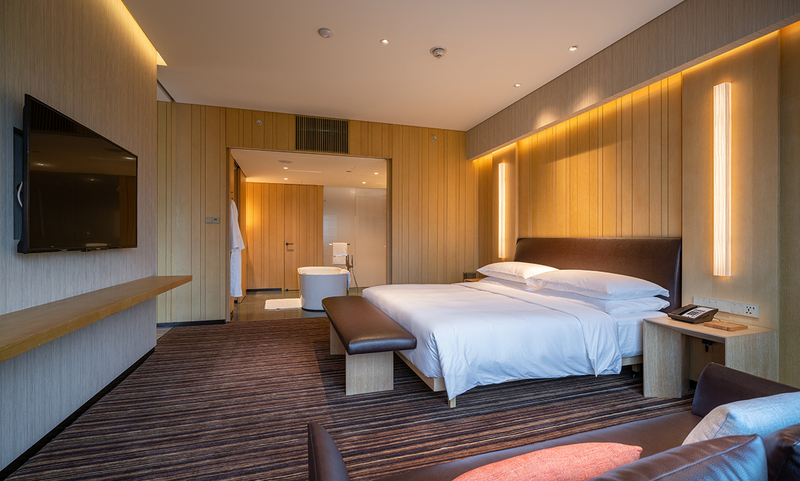 We aimed for a hotel which offers a quiet, natural atmosphere within the busy urban environment.